on July 5 at the Ellwood-Nehring House in DeKalb at 7 p.m. Wednesday. The Ellwood House Museum, FunME Events and Kishwaukee Fest have partnered to bring a new live music series to the DeKalb area this summer. “Music at the Mansion” and will be held on the grounds of the Ellwood House Museum and Park in DeKalb on three Wednesdays. Each concert will have a different musical theme. 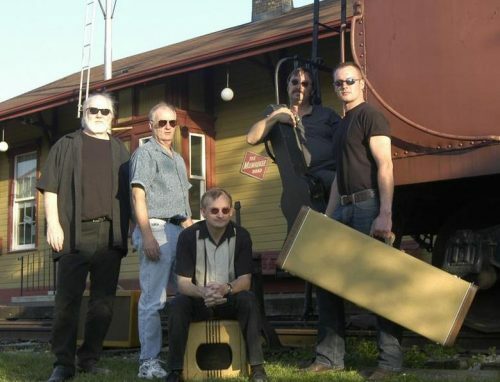 The first concert will feature blues with Johnny and the Boomers on Wednesday, July 5. The concert was originally scheduled for June 14 but was postponed due to severe weather. According to Embrey, Johnny and the Boomers is a local cover band that plays hits from many of the greats in the blues genre. The concert starts at 7 p.m. and will take place at the front of the historic Ellwood-Nehring House, located at the southeast corner of the museum property, near the intersection of First Street and Augusta Avenue. Light refreshments will be available for purchase from Boy Scout Troop 33. Bring a lawn chair and your own snacks and enjoy this 90-minute free concert. The other concerts in the series will be “Jazz at the Mansion” on July 26 featuring the Mary J Harris Trio and “Big Band at the Mansion” on Aug. 16 featuring Jazz in Progress. The Ellwood House Museum is at 509 N. First St. in DeKalb. For information, call the Ellwood House at 815-756-4609 or visit ellwoodhouse.org.